When people think about Ancient Egypt, pharaohs, cats and pyramids come to their mind. However life in Ancient Egypt was much more complex than that and this is why we have decided to present to you several little known and interesting facts about this ancient northeastern African civilisation. Flies have been annoying mankind since the beginning of time. The Egyptian pharaohs however didn’t have to deal with them as they kept flies away by smearing several of their slaves into honey and keeping them nearby. This way the flies would have been attracted by the honey and wouldn’t bother the ultimate Egyptian ruler. In Ancient Egypt both men and women wore makeup. The mascara that they used was usually green which made by processing copper or black which was created by processing lead. Both genders wore makeup because they believe that it had heading powers. However this superstition wasn’t the original idea behind this habit. In the beginning the makeup was used as a sunscreen to protect them from the strong sun. Children didn’t wear clothes until they reached their teenager years. Boys also had their heads shaved except for a long braid of hair which was left to protect the infant from lice. Pharaohs on the other hand, never let their hair to be seen. When in public they would always wear a headdress known as nemes. This fact was acknowledged when archaeologist discovered Tutankhamen’s golden mask. The richer remainder of the population use to wear wigs while the poorer people wore pig tails or simple left their hair long. Today several well preserved nemeses can be seen in the British Museum, so make sure that you visited it, once your removal in over. Egyptians believed that the Earth was circular and flat and that the Nile flowed through its middle. The sky above was a personification of the goddess Nut while Earth itself was the personification of god Geb. Both were separated by Shu, the ancient Egyptian god of air. Beneath the earth laid a parallel underworld and undersky, and beyond both skies was the never ending expanse of Nu. In Ancient Egypt, both men and women enjoyed economic and legal equality, however they didn’t have social equality, as men were seen of a higher status. Still, Egyptian women were treated much better than most women in other ancient civilisations. During mummification, the brain of the deceased was pulled out thought his nostrils via special instruments. All organs with the exception of the heart will removal from the body and placed within a customer made jar. The heart was left into the body as ancient Egyptians believed that it contains the soul of the deceased. 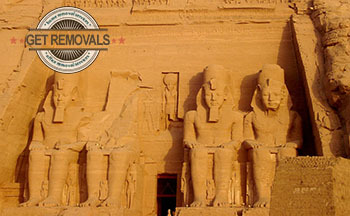 The British Museum is also home to several amazing well preserved mummies, so check them out as well, but before make sure that your removal has been completed properly. The oldest dress found by archaeologists is approximately 5.000 years old and was worn by an Egyptian aristocrat. It is showcased in a London based museum near Bloomsbury Theatre. Central London includes the oldest parts of the Greater London are and the heart of the entire city. Here are the majority of historical buildings and significant landmarks including the House of Parliament and Tower Bridge which are probably the two most emblematic sites in London. East London comprises of the East End which stands closer to the historical center of the city and the area that lays beyond it which was gradually incorporated in the urban area of London mostly throughout Victorian and Georgian eras. A large role for that process was played by the rapid construction of railways in the middle of the 19th century. The term “North London” has a debatable meaning. The most basic separation of London is North and South, with the river Thames being the divider of the two. However a more accurate separation is from the current London Plan which puts only three boroughs in the sub-region. As with the North, South London is not a universal term. A common separation would refer to the area to the south of River Thames as South London. However with the current London Plan from 2011 there is an actual South London sub-region that includes six London boroughs. There are some 1.8 million people living in West London. In general this is considered to be the best part of London with higher overall living standard. Here is also the home of several of London’s most prominent football teams – Chelsea F.C , Fulham, QPR and others, as well as th legendary Wembley Stadium.